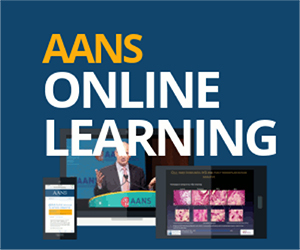 The official socioeconomic publication of the American Association of Neurological Surgeons (AANS), AANS Neurosurgeon features information and analysis for contemporary neurosurgical practice. Published quarterly, AANS Neurosurgeon focuses on issues related to legislation, workforce and practice management as they affect the specialty of neurosurgery. Only original, non-promotional research manuscripts pertaining to the field of neurosurgery that have not been published previously in print or online are considered for publication. In publishing peer-reviewed research, AANS Neurosurgeon complies with the Uniform Requirements for Manuscripts Submitted to Biomedical Journals established by the International Committee of Medical Journal Editors. The following instructions specifically apply to hypothesis-driven research manuscripts submitted for publication in the Peer-reviewed Research section of AANS Neurosurgeon. Authors interested in submitting other types of material are directed to the instructions for general articles. Research manuscripts undergo double-blind peer review. Reviewers critically evaluate the submission for overall quality, relevance of the information to the neurosurgical community, quality of content and methods, accuracy of data, and cogency of conclusions. Unless specifically stated otherwise, the opinions expressed and statements made in AANS Neurosurgeon belong to the authors and do not imply endorsement by the AANS. an acknowledgement section that names all persons who have made substantial contributions to the content of the manuscript but are not listed as authors, including those who provided editing and writing assistance. Manuscripts should be submitted as Microsoft Word files. Do not embed any figures, tables or digital media files within the manuscript. Supplemental material should be sent separately, as individual files. Please see the Figures section of this document for submission guidelines regarding photos, charts, graphics, tables and videos. Manuscript Length: The general expected length of research articles is between 1,400-2,800 words. Omit a Title Page: To facilitate AANS Neurosurgeon’s double-blind peer-review process, do not include a title page and de-identify all materials submitted for review. Abstract: An abstract of 250 words or less must comprise the first page of the manuscript. Abstracts should begin with a simple and clear statement of the article’s purpose, followed by appropriate details that support the authors’ conclusions. Information presented in the abstract, including the data, must reflect the information presented in the paper. Abbreviations and Acronyms: Use abbreviations and acronyms sparingly. When they are necessary, spell them out on first reference with the acronym following parenthetically — i.e. American Association of Neurological Surgeons (AANS) — and include a listing of them on the first page of the manuscript. Manuscript text should be divided into Introduction, Materials and Methods, Results, Discussion, and Conclusions. Subheadings within each of these sections may improve the readability of the report and its organization. Introduction: The Introduction should state the purpose of the manuscript and, when appropriate, concisely summarize the rationale for the undertaking. Reference major background reports, but do not review in detail the pertinent literature, as such a review belongs in the Discussion. Materials and Methods: The Materials and Methods section should include enough details so that the methodology is clearly understood. It is appropriate to refer to previous work if the methodology has been reported in detail; however, this section should include enough information for the reader to gain an understanding of the methodology without referring to previous reports. Results: The Results section should concisely summarize the findings of the study and follow the general train of thought established in the Methods section. The Results section should be devoted solely to the findings of the current report and not refer to previous investigations. Discussion: The Discussion section should concisely emphasize the major findings of the study or investigation and their significance. It is not necessary to repeat information presented in the Methods and Results sections. It is particularly important in the Discussion section to use subheadings so that the reader can follow the authors’ train of thought. Conclusions: The Conclusions section should restate the major findings of the study/report and address their potential clinical implications and/or application. If figures are referenced within the text, they should be cited in numerical order (e.g., Figure 1, Table 1, Figure 2). Each table, graph or chart must be created and submitted as a separate Microsoft Excel file. The data source for each table, graph or chart must be specified within the Excel file. The data on which each graph or chart relies must be included within the Excel file. Please provide professional-quality materials whenever possible. Photographs measuring 610 pixels wide by 360 pixels tall, if possible, should be provided as JPG files at a minimum resolution of 72 dpi. Other digital materials should not be submitted with manuscripts. Authors with digital media such as video clips that would complement a manuscript are asked to briefly describe the media after the References section. If the manuscript is accepted, the author will be contacted with additional instructions for digital materials. As a general guideline, a video should be an MP4 file, ideally 420 x 320 pixels and optimized for the Web, and no longer than two minutes. AANS Neurosurgeon follows the National Library of Medicine format and uses the citation-name system: Numbers, e.g., (1), are used in the text to refer to the reference list. References should be listed in chronological order at the end of the manuscript; please do not use the footnote or endnote function in Microsoft Word. Authors are responsible for the content of their references. During the editing process, the completeness and accuracy of all references published in AANS Neurosurgeon are verified. Examples of appropriate reference styling are available below, with more extensive coverage at https://www.nlm.nih.gov/bsd/uniform_requirements.html. Please see the instructions below regarding the required documentation needed with each submission. It is important to note that without this documentation, an article cannot be published in AANS Neurosurgeon. Each author is required to sign and submit AANS Neurosurgeon’s copyright release form for each manuscript submitted. Follow this link to access the form, which will be kept permanently on file as part of the record for each issue. The copyright release form should be saved locally and completed according to the brief instructions included within the form. Each author is asked to download and complete a form, and to email the completed form to the submitting author, who will submit all the forms at the same time. Submissions received without all the completed copyright forms will be returned without consideration. A conflict of interest is a circumstance or relationship of the author(s) or of the author(s) immediate family members that may influence the content of the manuscript being submitted. Conflicts may include: direct or indirect sponsorship by a pharmaceutical company, equipment manufacturer, public relations firm or any other commercial entity; or a financial interest in or arrangement with an organization that may have direct interest in the subject matter of the manuscript. The submitting author must disclose whether any of the manuscript’s authors has a conflict as defined above. Any sources of support should be listed and must include the name(s) of the grantor(s), applicable grant numbers, and the name of the author who received the funding. If none of the authors has any conflict of interest, include a certifying statement to this effect. For example: None of the authors has any conflict of interest that may affect the subject matter of this manuscript. After the submission process is complete and the article is deemed appropriate for Peer-reviewed Research, it will undergo the double-blind peer-review process. Once the peer-review editor approves the article, a staff editor will finalize it for publication. Note: In addition to undergoing the double-blind review process, peer-reviewed research articles also will be edited for clarity and style. Authors are responsible for the content of their articles, and the final draft should be reviewed with care prior to submission, ensuring that proper attribution is included. Articles accepted for publication become the property of the AANS and AANS Neurosurgeon unless otherwise stated in a written agreement between the author and the AANS prior to publication. Before submitting an article, the lead author should review and confirm the following checklist. Included the cover letter and abstract? Attached the properly organized, depersonalized Microsoft Word manuscript? Thoroughly outlined all references, as well as any acknowledgements? Supplied any supplemental material discussed in the article, such as photos, charts or graphs, as separate files? Disclosed any conflicts of interest? Provided all the completed copyright release forms? If so, please email your materials to aansneurosurgeonpeerreview@aans.org. Emails are restricted to a size of 10MB. If the materials render your email too large to send, please contactAANS Neurosurgeon editors at the email address above for instructions on how to submit your article via DropBox. Articles submitted without all the required components may not be considered for publication.